I love March for so many reasons. Number two: Those little seed packets start popping up in the store and we get to start planning for spring! Doesn’t have to be! And when you are a family on a tight budget and still want to eat real, whole, nourishing food, come St Patrick’s Day season, cabbage is about as cheap as it gets! This week (and most likely next week) our local grocer will be selling cabbage for $0.14 per pound. You better believe I am all over that. Cabbage is not only nourishing cooked in loads of friendly fats, it tastes *so* good when you cook it the right way. I usually use it in soups or stir frys, and this is one of my favorites. I did grow up with a Spanish version of cabbage rolls using saffron and other spices…and they are so good. But this mama of 3 under 5 years old just doesn’t have time for roll wrappin’! And we don’t have a budget to indulge in saffron (if you do I totally recommend it! It tastes SO good!). So this is a stir fry based on the cabbage roll – this feeds my family for 2 dinners, although on this night it was barely 1 since everyone, including the kids, had second helpings! Skip the boiling and rolling of leaves and just combine everything at once. Same great taste and nutrition. 2-3 cups cooked chicken from your weekly chicken See Tips section for how do this – EASY! Sauté the onion and cabbage in the friendly fat until onions and cabbage soften and caramelize a bit. Add a few pinches of sea salt while it’s cooking to bring out their juices and let them sweeten up. This will take a good 10 minutes or longer. While the onions and cabbage are cooking, cook up your rice in a separate pot. Add in the rest of the ingredients to the cabbage and onions, and cook through on medium heat for about 5-10 minutes. Add the cooked rice when it is done and stir through. Season to taste. 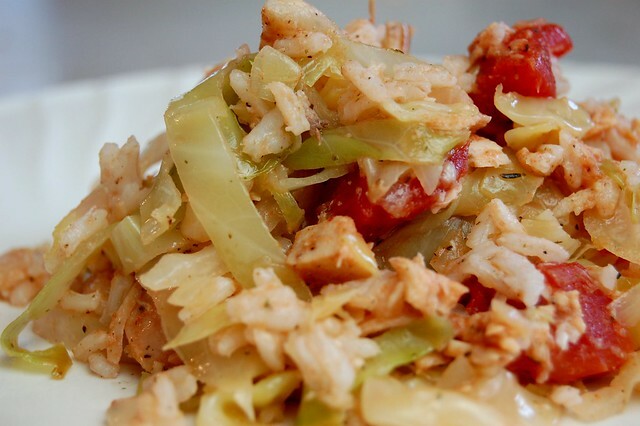 If you are grain free use chopped potatoes, and fry them up alongside the cabbage and onions. 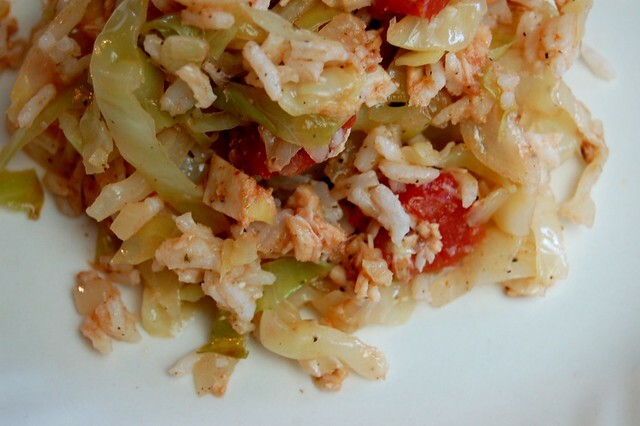 You can change up the seasoning to your family’s taste for cabbage rolls. Like I said, my family recipe used saffron and it is super yum! HERE is how you can crockpot a chicken or 2 every week or so and have meat for simple, quick dinners like this! 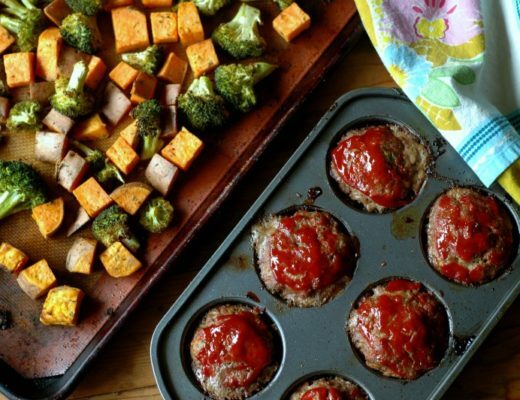 Leftovers heat through beautiful in the pan the next day, and make a great lunch! 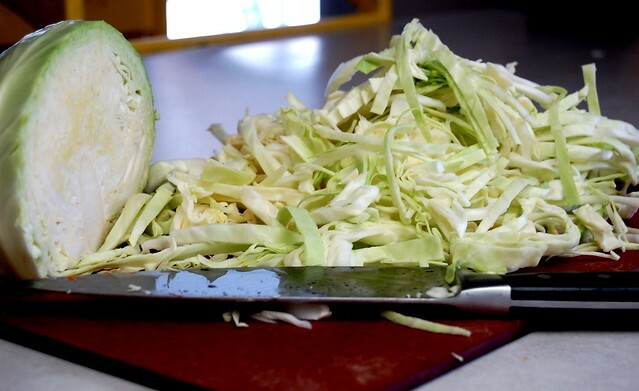 Do you cook with cabbage in your house? Link up some other cabbage recipes in the comments so we can all use up our cheap March cabbage up! 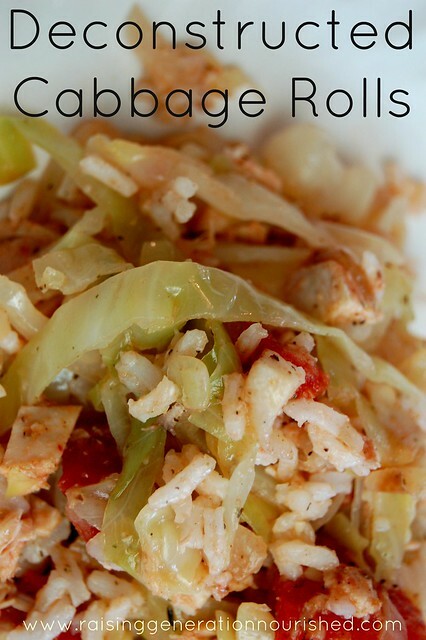 My husband LOVES cabbage rolls! His Polish grandma used to make them using ground beef and pork. We have never tried them with chicken, they sound yummy and look sooo much easier! (I totally bombed my first attempt at making cabbage rolls and havent tried since 😉 ) Could you use ground beef in this recipe or would you have to change it up a bit? We totally do ‘unstuffed’ cabbage here. Love it! I’ll have to try it with chicken though. Let me know what you think Jessica! 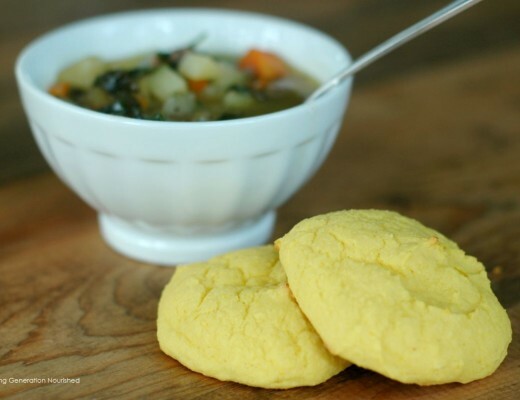 Thanks for sharing this recipe it was super simple to make and it was amazing, my husband and I loved it! Tracy that is so great! Thanks so much for coming back to let me know! I appreciate it! Where does the bone broth come into this recipe? Hi Rachel! I cook my rice in bone broth – and you can splash it in to the stir fry as well!